In the style of Pa Kua Chuan taught by China Hand Kung Fu Academy, we have many exercises to help you develop your skills in a particular type of movement. Practice these exercises as part of your warm-ups and preparation to do form. The Tea Cup Exercise is a long standing tradition in Pa Kua Chuan training. If you are feeling especially risk taking and want to mee the challenge, then put a cup full of water and practice the exercise without spilling the water or dropping the cup. 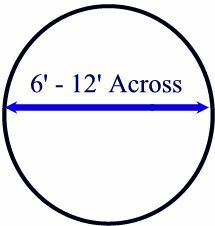 First you will need an area about 6 - 12 feet in diameter. In order to help you maintain the circle different training aids can be used to keep you in the circle. For instance, you can draw a circle on the ground in you driveway, garage or basement, or you can use a tree or pole to walk around which gives you a center point to work from. 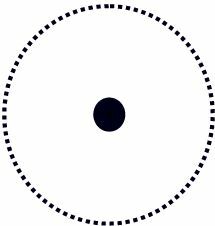 Ideally, if you could have a drawn circle as your training progresses, this would be best but not mandatory. You don't want the circle to big nor to small. Here you would walk in the circle which is literally drawn on the ground, painted, tape, chalk, etc...The drawn line is your reference. Here you would walk around a center point such as a tree, stick in the ground, a pole, and imaginary object. The center point is your reference. What direction do I walk in? You will always start your direction by walking in a counterclockwise direction. After you complete you counterclockwise direction, you will repeat you exercise by going in a clockwise direction. All Pa Kua Chuan Exercises and Movements will be practiced on both the left and right sides, or the mirror images. Stance Comments: The stance and foot work for Wood Floating, Cloud Carrying, Spinning, and Rope Climbing are all the same. Once you have learned the first one, only the hand positions will change. First, Stand on the circle, left foot forward in a Flat Footed Empty Stance. The inside foot, the left foot going counterclockwise and the right foot going clockwise, will always be slightly turned inward toward the center of the circle. The outside foot will always remain directly on the circle. Now start by very slowly shifting the weight to the forward leg. Image the your front foot is planted into the ground ten feet deep like a tree root. Slowly pick up the rear foot as if you were pulling your foot out of the mud. As the rear foot slowly comes up, let the knee lead the way, then do a toe kick to the ankle. This should be done without rising your head. Now, slowly sink the body by bending the supporting leg and letting the kicking foot gently rest on the floor in a Flat Footed Empty Stance. Now repeat this until you go around the circle at least 3 times. Then turn around and repeat the exercise going in a clockwise direction at least 3 times.